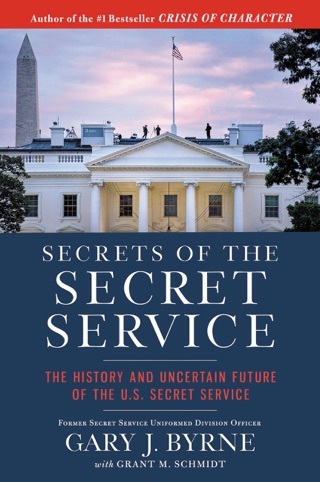 In this runaway #1 New York Times bestseller, former secret service officer Gary Byrne, who was posted directly outside President Clinton's oval office, reveals what he observed of Hillary Clinton's character and the culture inside the White House while protecting the First Family in CRISIS OF CHARACTER, the most anticipated book of the 2016 election. 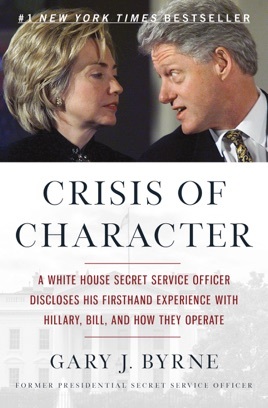 Crisis of Character does a great job exposing the many lies and disgusting behavior of both Hillary and Bill Clinton. Thank you Gary J. Byrne for telling America and the world about the evil Clintons and all of their corruption. This book is a must read. No one can help us if Hillary becomes president. A good read. The Clintons are disrespectful and classless. Hillary supporters can't handle the truth. Hey Apple, Why isn't this on the trending page? Well, that was some story! I am sorry that you had to deal with that mess. I am glad that you told your story. I think your father is proud of how you have tried to conduct yourself. I hope the best for you, Genny and your family. My husband is retired military. We were in Maryland while the Clinton's were in the White House. To hear the rumors of how the Clinton's felt about the military, was hurtful to try to understand.